Ever been to an amusement park? What’s the best ride? The biggest and baddest rollercoaster in the park! Whether it be the world’s tallest Kingda Ka at Six Flags New Jersey, the Top Thrill Dragster at Cedar Point in Ohio, or the world’s fastest Formula Rossa at Ferrari World in Dhabi, the rollercoasters are the scariest and most thrilling rides there. They're not for the faint of heart. If you’re a sales professional, you probably won’t disagree that sales has its ups and downs. As I’ve started my sales consulting and recruiting career, I’ve quickly come to learn that a career in sales is like being on the ultimate rollercoaster. Just like rollercoasters, sales is not for everyone. You will experience some really great highs, some not-so-great lows, and some twists and turns along the way. The highs will be an exhilarating rush. There’s no feeling like closing a deal. On the flip side, losing a deal can make you feel like you’re continuously spinning and looping upside down (pause for a moment, until you stop spinning please.) Luckily, over time, with training and practice, you learn how to consistently get to the highs, while anticipating and bracing for the lows. As a sales professional, you signed yourself up for a front row seat on the most daring and coolest rollercoaster out there. Swallow the fear and pick up the phone. At the beginning of the month, you’re prospecting, building pipeline, and mapping out your deals. You’re figuring out how am I going to make money this month? 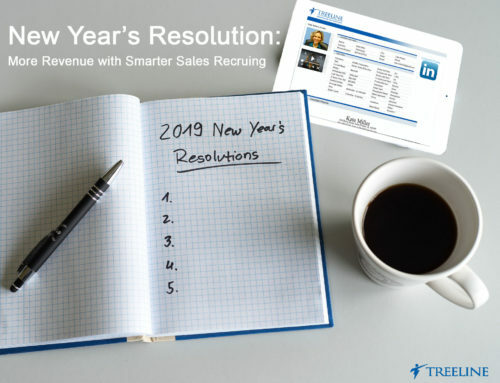 You’re connecting with people, doing research, emailing, cold/warm calling, following up with marketing leads, and setting up appointments. This part of the sales process can already feel like the ultimate rollercoaster. You may have all of your leads responding to you or you may experience nothing but dead air. And let’s not forget the frustration and rejection that comes with this part in the sales process. Ever send out emails with no response or cold call someone and have them hang up on you or curse you out? Show of hands please. This is when you’ve got the person live on the phone and they have finally responded to your emails. Here is where you determine “the need.” At this point, you are determining if your solution or product is something that can help this potential customer. You’re understanding their needs and challenges, overcoming objections, finding out what their budget is, and determining which solution offering will work best for them. You’re so close to giving them a demo and showing them how you can help. They will either agree to a demo or tell you to follow-up with them in a few months. They’ve agreed to do a demo (cue the fist pump.) You’ve got their attention and they have an interest in seeing how the product/service works. This is when you can truly win them over. You’re showing them how you are different from your competitors and how the solution will work for them. If all goes according to plan the customer will be impressed and even more interested. At this point, the potential customer will say one of two things. If they say something along the lines of response 1, then you know your chances of closing just went up to 90%. If you get response 2, you still have some work to do before signing them. At this point it is extremely important to set expectations as to the next steps in the process. You want to find out when you should expect to hear back from them and when you should follow up with them. Once again, qualify the opportunity. This is your chance to close the deal. It’s also where the wheels can come off the rails and you can watch the deal fall apart in front of you. After the demo, you’ve sent out your fee agreement and are waiting for the customer to send it back. You’re doing your “just following up” calls and emails until they respond, and overcoming any final objections that would prevent the customer from signing the deal. You remain persistent without appearing desperate. At this point, the customer either signs the agreement, tells you that they went with another vendor, or never returns your call. If you’ve done everything right, the client is ready to sign. Or as I like to call it… the ride! You’ve successfully managed the entire sales process (with only a few bumps along the way) and won the client’s business. They have signed the contract and are now an official customer. You’ve gone through the highs and lows and feelings of both anxiety and excitement to finally close the deal. The rush and adrenaline were totally worth all the bumps, twists, and turns, that you want to get back on the rollercoaster again…and lucky for you, you do. As you’re rejoicing and soaking in the accomplishment, the month resets, the revenue board clears, and you’re back at square one. It’s time to get back on the rollercoaster and do it all again. And if you’re in sales and reading this then you understand why it’s the best career and rollercoaster out there.